ChiIL Live Shows: OPENING: Nell Gwynn at Chicago Shakespeare September 20–November 4, 2018. OPENING: Nell Gwynn at Chicago Shakespeare September 20–November 4, 2018. Scarlett Strallen is Nell Gwynn. 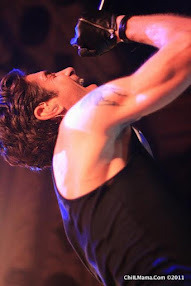 Photo by Jeff Sciortino. Here at ChiIL Mama and ChiIL Live Shows we're eager to catch Chicago Shakespeare Theater's latest, Nell Gwynn, Winner of the Olivier Award for Best New Comedy! With Scarlett Strallen, a two-time Olivier Award nominee and multiple Jeff Award-winner Timothy Edward Kane on board, this is high on my fall "must see" Chicago theatre list. I'll be out for the press opening September 28th. Check back soon for my full review at ChiILLiveShows.com. Timothy Edward Kane is King Charles II and Scarlett Strallen is Nell Gwynn in Chicago Shakespeare Theater’s production of the Olivier Award-winning comedy Nell Gwynn, directed by Christopher Luscombe, in Chicago Shakespeare’s Courtyard Theater, September 20–November 4, 2018. Photo by Jeff Sciortino. Chicago Shakespeare Theater announces the cast for the North American premiere of Jessica Swale’s exuberant new comedy Nell Gwynn, September 20–November 4, 2018. The music- and dance-filled play took London audiences by storm when it debuted at Shakespeare’s Globe, followed by a celebrated run on the West End. 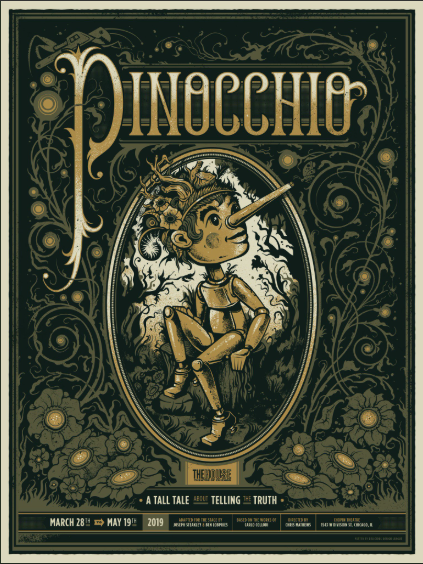 Director of the original London production, Christopher Luscombe, helms the new Chicago Shakespeare production. Star of Broadway and the West End Scarlett Strallen appears as Nell; Chicago leading actor Timothy Edward Kane performs the role of King Charles II. Winner of the Olivier Award for Best New Comedy, Nell Gwynn tells the extraordinary true story of an unlikely heroine—the beloved mistress to a king. Young Nell Gwynn is selling oranges in the burgeoning West End when she is discovered by a theater troupe, and becomes one of the first women to take center stage as the leading actress of Restoration England. With her quick wit and exceptional beauty, she wins over audiences—and the heart of King Charles II. Appearing as Nell Gwynn is Scarlett Strallen, a two-time Olivier Award nominee who starred on the West End in She Loves Me, A Chorus Line, Singin’ in the Rain, HMS Pinafore, and in the title role of Mary Poppins—which she reprised on Broadway. Additional Broadway credits include Travesties and A Gentleman’s Guide to Love and Murder. Portraying King Charles II is multiple Jeff Award-winner Timothy Edward Kane in his seventeenth production at Chicago Shakespeare. Kane’s notable performances include Richard III in Tug of War: Civil Strife (2012), Oberon in A Midsummer Night’s Dream (2012), Horatio in Hamlet (2006), and as Poins in Henry IV, Parts 1 and 2 (2005) at Chicago Shakespeare and on tour to the Royal Shakespeare Company’s Complete Works Festival in Stratford-upon-avon. Two-time Olivier Award-winning actor David Bedella, best known for numerous West End appearances (Jerry Springer – The Opera, In the Heights) and UK television roles, appears as Edward Kynaston, the displaced actor who had played the woman’s roles before Nell’s admission to the troupe. Joining the company are multiple Jeff Award-winners and veterans of National Broadway Tours and Chicago stages: Larry Yando as Charles’ chief minister, Lord Arlington, and Hollis Resnik in the dual roles of Ma Gwynn and the Portuguese Queen. Yando has appeared on the Chicago Shakespeare stage more than 20 times, including recently in Shakespeare in Love, The Tempest, and in the title role of King Lear. Resnik is a twelve-time Jeff Award-winner, including a win for her performance as Carlotta in Chicago Shakespeare’s Follies. She has also appeared in the national touring casts of Les Misérables, Thoroughly Modern Millie, and Dirty Rotten Scoundrels. Portraying Charles Hart, the leading actor in the King’s Company, is John Tufts—who has appeared in twelve seasons at Oregon Shakespeare Festival, and now returns to Chicago Shakespeare after Love’s Labor’s Lost and the two-part Tug of War saga. Emily Gardner Xu Hall portrays two of Charles’ mistresses: Lady Castlemaine and Louise de Keroualle. In addition to being an award-winning composer/lyricist, Hall’s theatrical credits include In Rooms Such As These at Signature Theater and the US Premiere of Stockholm at Hudson Stageworks. Multiple Jeff Award-winner Natalie West—perhaps best known for her recurring role on the original long-running sitcom, Roseanne—is Nell’s dresser, Nancy. Emma Ladji appears as Nell’s sister, Rose. Portraying members of the King’s Company are Christopher Sheard as playwright John Dryden and Bret Tuomi as director Thomas Killigrew. Rounding out the ensemble are Jeff Diebold, Dylan Obrochta, Emily Rohm, and Carter Sherman. Making his Chicago Shakespeare debut is canine actor Bentley playing King Charles’ beloved spaniel. Director Christopher Luscombe is internationally acclaimed for his vibrant productions of Shakespeare, musicals and new works. As an Associate Artist of the Royal Shakespeare Company, Luscombe recently staged a repertory pairing of Love’s Labour’s Lost and Much Ado About Nothing and a production of Twelfth Night, which went on to be broadcast worldwide via RSC Live. His directing credits also include The Madness of George III and Spamalot in the West End, The Comedy of Errors and The Merry Wives of Windsor for Shakespeare’s Globe, and numerous international touring and West End productions of The Rocky Horror Picture Show. Luscombe returns to Chicago Shakespeare after his 2014 production of Henry V.
Joining Luscombe on the creative team is Drama Desk Award-winning Composer Nigel Hess, who has scored more than twenty productions at the Royal Shakespeare Company and on Broadway, and Music Director Jermaine Hill. The lush set and costumes of Restoration England are being created by Emmy and Olivier Award-winning designer Hugh Durrant, who is internationally recognized for his work in theater, opera, and concerts, including Cher’s Farewell Tour. Jeff Award-winning Lighting Designer Greg Hofmannn returns to Chicago Shakespeare where his credits include Mary Stuart, Love’s Labor’s Lost, and Ride the Cyclone. Stephen Ptacek is the production’s Sound Designer; a three-time Jeff Award-winner, Ptacek has designed with Victory Gardens Theater, Gift Theatre, and Northwestern University. The production’s period styles are complimented by designs from Chicago Shakespeare’s resident Wig and Make-up Designer Richard Jarvie, who has created designs for over thirty productions at the Theater. Completing the creative team are Choreographer Amber Mak, Dialect Coach Eva Breneman, and Assistant Director Lanise Antoine Shelley. 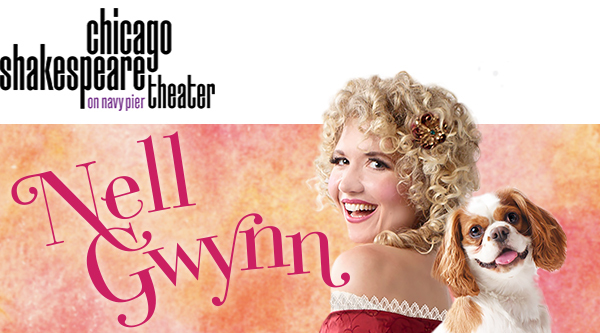 Nell Gwynn is presented in Chicago Shakespeare’s Courtyard Theater, September 20–November 4, 2018. Single tickets are $48–$88. Special discounts are available for groups of 10 or more, as well as CST for $20 tickets for patrons under 35. For more information or to purchase tickets, contact Chicago Shakespeare Theater’s Box Office at 312.595.5600 or visit the Theater’s website at www.chicagoshakes.com. 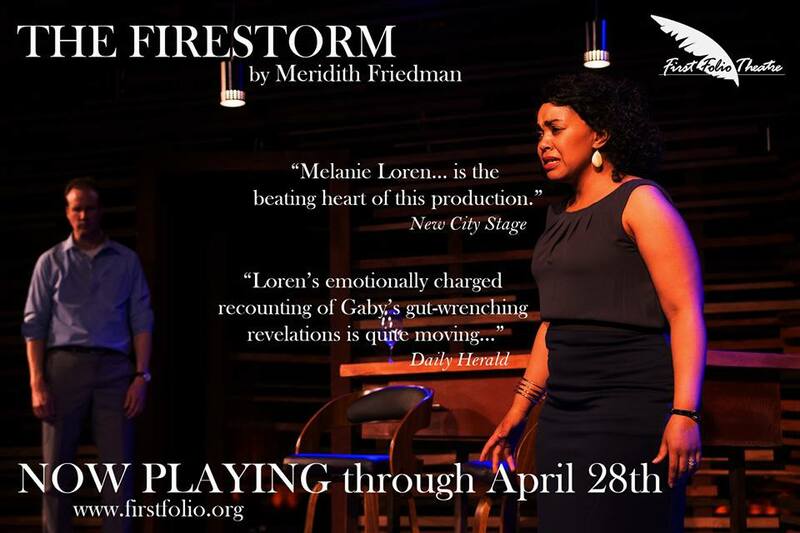 Open-captioning – Thursday, October 25, 2018 at 1:00 p.m. and 7:30 p.m.
ASL Duo-interpretation – Friday, October 26, 2018 at 7:30 p.m.
Audio-description – Sunday, October 28, 2018 at 2:00 p.m. with optional touch tour at 12:00 p.m.